An initial stage of exploration encourages broad exposure to important scientific approaches and problems. This allows students to lay a solid foundation for intensive research in the second phase of the PhD program. Our U.S. Style Graduate Program is characterized by modern comprehensive training with a special focus on interdisciplinary. 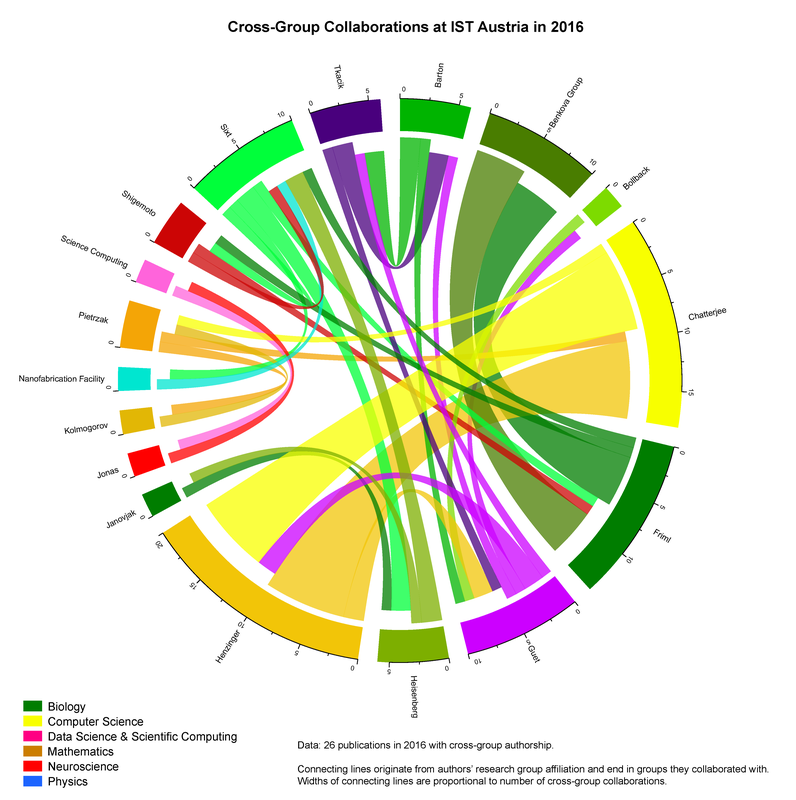 The following graph shows cross-group collaborations at IST Austria, based on co-authored publications from 2016. The PDF can be downloaded here. 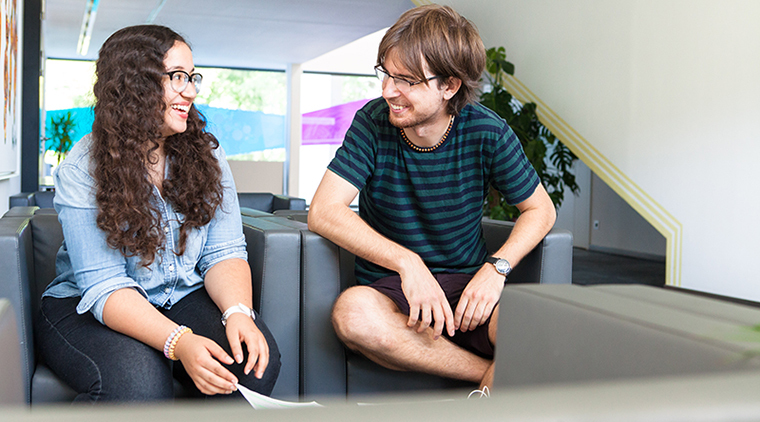 Students work closely with outstanding faculty within small research groups, and have access to first-rate facilities. Students spend the first year completing coursework and rotations before affiliating with a group. This first phase of exploration allows students to be sure that the research topic as well as research group are the best match for them before they embark on in-depth thesis research in the second phase. We welcome students with a bachelor’s or a master’s in science to apply for the ISTScholar PhD program. “Students are the lifeline of science.” Listen to what Prof. Daria Siekhaus has to say about the importance of students at IST Austria. Through close collaboration with faculty and other group members, our students publish prolifically. See the full list of 254 student publications (and counting!) here in the IST PubList database. We use English throughout the institute as the language of instruction and communication. IST Austria has a diverse and international student population, represented by students from over 30 countries. In 2018, IST Austria was ranked within the top ten of Nature Index Rising Stars “Top 30 academic institutions under 30” list and was featured in this article in Nature Index. For more details, browse our Nature Index research profile. We also have the highest ERC Grant success rate (at 48%), and our faculty are the recipients of distinguished honors.